The concept of today’s smart, connected wearables just didn’t exist back in the 1980s when text-only operating systems like MS-DOS were still popular. But that didn’t stop Puma from releasing what was possibly the world’s first modern fitness tracker by strapping a chunky computer to the back of a sneaker. Thirty-two years later, Puma is bringing those kicks back with the same design, but with updated tech inside. The Puma RS (Running System) Computer shoes were created way back in 1986 and helped introduced the idea of keeping tabs on your performance during a run – which is functionality that everything from your smartphone to your smartwatch offers today. 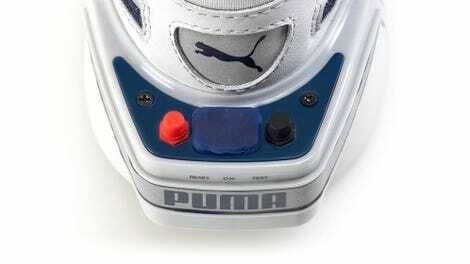 But in 1986, squeezing everything onto a nearly invisible chip wasn’t an option, so the Puma RS Computer sneakers had a distinctive bulge on the back containing the electronics needed for counting steps, tracking calories burned, and a port for dumping workout data to an Apple II or Commodore 64 desktop computer using a clunky cable. Unsurprisingly, the shoes didn’t exactly fly off shelves back in 1986, and Puma only produced them in limited quantities. 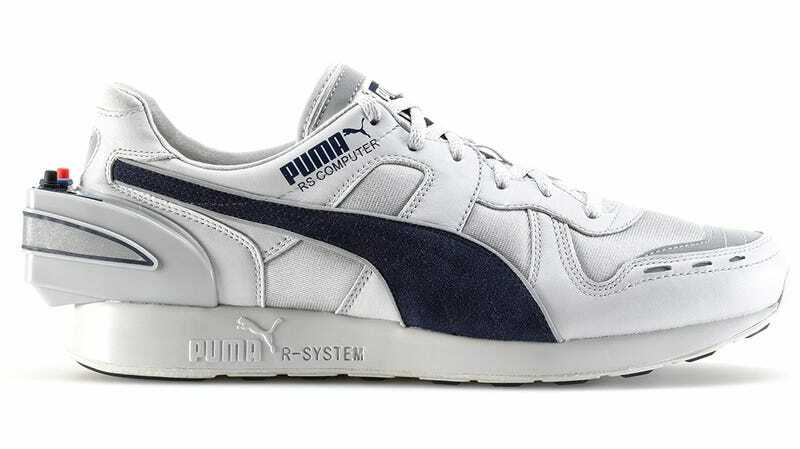 But their distinctive design, and the fact that the RS Computer sneakers were so ahead of their time makes them the perfect bait for nostalgia seekers, and Puma is ready to cash in on the ‘everything old is new and novel again’ trend.